Here at East London Printmakers we are delighted to announce one of our latest courses, run by the brilliant Ann Norfield, comprised of weekly sessions throughout January and February. Etching for beginners is your chance to learn a new Printmaking practice as you are guided through the process of Copper Plate Etching. There is still time to book a place on the course either for yourself, or why not gift this to a creative you are still hunting for the perfect Christmas present for? 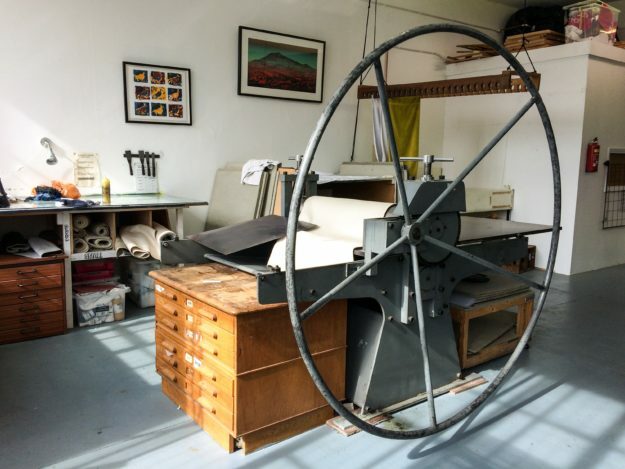 To coincide with our Festival of Print exhibition (Mile End Art Pavilion) we will be hosting an Open Studios event on Sunday 4th Dec, from 12-4pm. It will be a perfect opportunity for anyone who hasn’t had a chance to visit our new workshop space to have a look around. We will be holding live Print demonstrations, artists stalls (with original Prints from £15) as well as drinks and lots of other festive fun. So please join us this weekend.